i just made shortcakes last night with peaches to satisfy a last minute dessert craving. these look great! Oh, oatmeal in a shortcake! How delicious! I'm anxiously awaiting those summer figs, too. That looks great!! I want some! 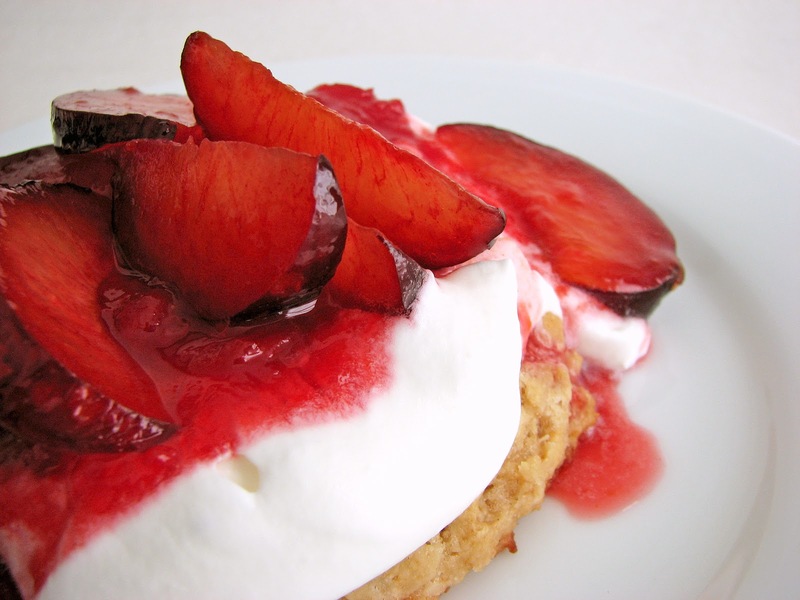 Shortcakes are my favorite summer dessert!!! I love allt he variations of fruits that can be used! 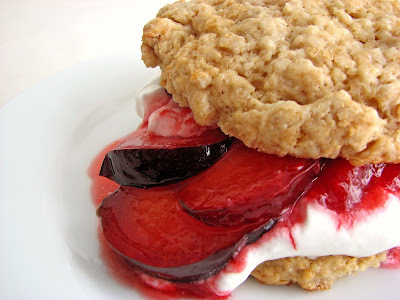 I have never done plum though, I love this idea! What auspicious timing! I was going to make shortcakes with peaches this evening and was trying to decide on whether to mascerate the peaches or not. You've sealed the deal... I'm cooking them! Though burgerlike in its construction, I find this far sweeter than any other sandwich I've ever come across: a sweet shortcake stack! Oh this looks delectable! Cakespy, it does sort of look like a burger, now that you mention it! Those look great! 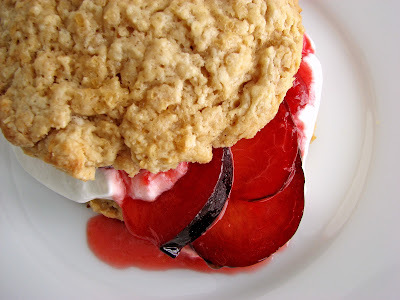 I'm obsessed with oatmeal too :) Love the idea of making it into shortcakes! I want to grab it.Pls dont give this kind of delicious dishes because i am getting hungry. I love the idea of using oatmeal. Great post. 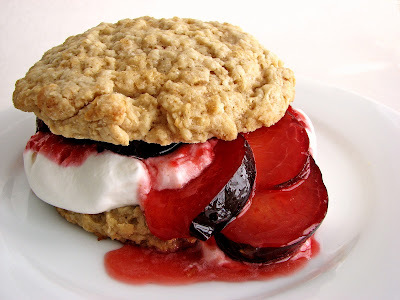 Have to make these soon as plums and peaches are now disappearing. Making these for a wedding I am catering tomorrow night. I tried them out earlier in the week and just couldn't get over how delicious they are! However brother of the bride can't have dairy so I made them with Earth Balance shortening and almond milk:fantastic. Serving them with blackberries, which is a perfect combination. Nourish, thanks so much for your feedback and for sharing your substitutions. So glad they worked out. And the blackberries sound like a wonderful combo. Cheers to you and your wedding party!